We talked to some of the renowned dermatologists to figure out exactly how to treat acne scars. See which skin-smoothing home remedies, over-the-counter products , medical and cosmetic procedures they recommend. 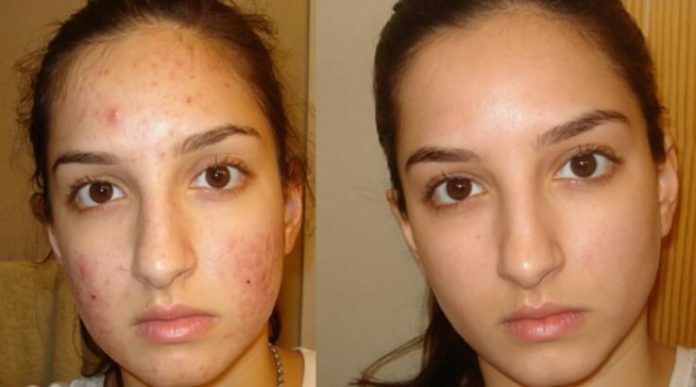 Some times the emotional effects of acne do not end even after getting rid of acne. As if the acne breakout frustration is not enough, the acne or pimples may leave behind dark acne marks or acne scars that are even worse. These dark marks or scars can occur all over your face and also on other parts of your body. They can ruin your complexion. As you are reading this article, I assume you are suffering from acne marks or scars. So, you must be wanting to get rid of the acne scars overnight. However, there is no magic wand that can get rid of them instantly. But you don’t have to worry. We will tell you here every thing about dark acne scars from prevention to treatment. In this article you will find best home remedies, over-the-counter medical treatments and various available cosmetic procedures to fade away acne scars fast. Now without delaying any further, let’s get started! 1. Acne Mark vs. Acne Scars: It’s a common point of confusion for everyone with acne. Sometimes, what we think is deep acne scars are really superficial dark marks, which heal over time. The treatments for both are different. Thus, before you embark on the acne scars treatment you must know first – whether what you are having are acne scars or acne marks. Read here to help you in finding out that: “Guide To Find Out Whether You Are Having Acne Scars Or Acne Marks”. 2. The Stage of Acne Scars: Next important thing to find out is the stage or severity of your acne scars. This will help you decide which type of treatment will be more suitable to remove them. This is important so that you can save your time, efforts, and hard earned money. (i) Mild Stage of Acne Scars: If you just have ice pick scars of sizes no more than 1-2mm deep, and they only cover a small portion of your face (like cheeks), then your condition is considered to be relatively mild. (ii) Moderate Stage of Acne Scars: If you have deeper ice pick scars along with boxcar or rolling scars of small sizes, or you only have any one of them, and they cover a relatively bigger area of your skin, then you’re in the moderate stage of acne scars. (iii) Severe Stage of Acne Scars: If you have hypertrophic, rolling, or boxcar scars of bigger sizes and they are found in abundance on your skin, then you’re positively suffering from a severe stage. I have spoken to many acne experts about the various treatments available for getting rid of acne scars. The acne scars treatment should be chosen according to their stage. Here, I have compiled the various treatments in the order of low to high intensity. How To Heal Mild To Moderate Acne Scars? In case of mild to moderate acne scars, we recommend that you try natural home remedies first. They won’t pinch your pocket and are without any side effects as well. The down side is they take more time to fade away the acne scars. So, you would need to be patient – but the overall benefits make it worth your effort. 1. Lemon Juice To Fade Away Acne Scars: On one hand lemon juice works as a natural bleach on skin, on the other hand its vitamin C content helps in rebuilding collagen. So, when you use lemon or lime juice on your acne scars, the spots turn lighter day by day. Lemon juice is an amazing natural skin-lightening agent. Its acidic nature helps brighten your skin and make the scars less visible as well. It is perhaps the most easily available ingredient lying in your fridge that can lighten the dark scars faster. Moreover, if you have swollen pimples, lemon juice can be used to decrease its redness too. Thus, the easiest remedy is just get hold of a lemon, squeeze out some of its fresh juice to apply onto your acne scar as a spot treatment, everyday! Here a word of caution is that do not venture out in sun with lemon juice on your skin. It makes the skin sensitive to the Sun’s rays. Even hours after when you go out, make sure you rinse it off completely and apply sunscreen to shield your skin. (a) Take a fresh lemon and squeeze out its juice. Apply the juice as a spot treatment directly on to your scars using fingertips or a cotton ball. Let it sit for about 15 minutes and rinse it out with water. Apply this remedy once a day for about 3 weeks, and you should see your scars getting diminished noticeably. (b) If you like, you can also mix a little bit of organic honey with the lemon juice to make it somewhat more effective in fading the acne scars. (c) For those whose skin is sensitive, make sure to dilute lemon juice by adding some rose water and then apply on the scars. (d) Another useful remedy is to mix 1 teaspoon of lemon juice with some vitamin E oil and then apply this concoction on to your acne scars. Vitamin E is an effective emollient with lot of antioxidants that protects and even improves your skin tone and texture. Tip: You can extract the oil from 1 or 2 vitamin E capsules. Simply, make a hole in the capsules and extract the liquid. Mix all the above ingredients together thoroughly, and apply on the scars once every day until the scars go away. Note: After applying lemon juice, make sure not to venture out in the sun! 2. Aloe Vera: Aloe Vera, a miracle herb, soothes swollen skin and helps in regenerating damaged tissues accelerating the healing process. To get best results use fresh gel like substance directly taken out from an aloe vera leaf instead of using over the counter products containing aloe vera. If you don’t have access to aloe vera plant then you can buy aloe vera gel from market, but make sure it’s with least additives. How To Use Aloe Vera For Acne Scars? Take an aloe vera leaf and peel its outer green color skin. You’ll find a gel like substance beneath its green color skin. Take out this gel and apply it directly on your scars. Let it sit for about 30 minutes and then rinse it off. Use this remedy twice every day. In a couple of weeks, your acne scars will start diminishing. This aloe vera remedy will also make your skin healthy and tighter. Raw potato can help in removing your pimple scars if you use this remedy regularly with patience. How To Treat Raw Potato For Fading Away Acne Scars? (i) Take a potato and cut it into round slices. Rub gently a potato slice onto your face in circular motion until the slice of potato has gone dry. (ii) Take another slice and do the same. (iii) Do it for about 15-20 minutes. (iv) Let the potato juice get absorbed into your skin pores, and then rinse it off. (v) Apply some moisturizer that suits your skin. Alternatively, grate a raw potato and rub it over the scarred areas. Leave it to dry out and let it sit for about 15-20 minutes. Rinse your face and apply a moisturizer of your choice. Use the above remedy once every day for at least 1-2 months depending upon the intensity of your scars. Continue with this remedy until your scars are gone away completely. 4. Baking Soda: Baking soda is another effective remedy for removing acne scars because of its exfoliating properties. The gentle coarse granules of soda mixed with water can get rid of the dead skin layer off your face without causing any inflammation. How To Use Baking Soda For Fading Out Acne Scars? (i) Mix 2-3 teaspoons of baking soda with water to make a uniform paste of desired consistency. (ii) Gently massage your face with this paste for 1-2 minutes, concentrating on pimple scars. Let the paste sit there for few minutes. (iii) Rinse the paste off using lukewarm water. Apply some moisturizer, preferably extra virgin olive oil. (iv) Repeat the process 2-3 times a week. 5. Tea Tree Oil For Acne Scars Spot Treatment: Tea tree oil, an essential oil, is well known for its antiseptic, antibacterial, anti-fungal and anti-viral properties. Thus, its not only one of the best remedies for acne, but can treat acne scars too. So far as the scars are concerned, this essential oil is most effective in healing the hypertrophic scars that are generally raised and red, such as those we get after burn injury or a surgery. Thus, if you have such raised or hypertrophic acne scars, you can efficiently apply tea tree oil to heal them. Bonus point is that this oil has hydrating properties too. It moisturizes and helps hydrate the scar, which eventually fade out the scars. How To Use Tea Tree Oil To Heal Acne Scars? (i) Mix 2-4 drops of tea tree oil with 1-2 tablespoon of water. Adjust the quantities according to the area of your acne scars. (ii) Dip a cotton ball in the diluted tea tree oil and apply it to the acne scars. (iii) Repeat 2-3 times a day. Caution: Never apply tea tree oil undiluted, more so if your skin is sensitive. It is too strong for the skin. 6. Apple Cider Vinegar: Apple cider vinegar acts as an astringent and a natural disinfectant that makes it work as an effective natural anti-septic agent. It can also be applied topically to balance the pH level of your skin. Due to its anti-bacterial and anti-inflammatory properties, it is prescribed as an effective treatment to heal acne. It also contains skin beneficial elements such as skin friendly vitamins, minerals, carbolic acid, ketones, aldehydes, amino acids, anti-oxidant, acetic acid and many more. Thus, you can also use it as a topical treatment to heal acne scars considerably. Because it can get rid of the dead skin cells, it may fade out the acne scars to a great extent. You can either use apple cider vinegar with water or with honey. How To Use Apple Cider Vinegar For Treating Acne Scars? (a) Mix 1 part of apple cider vinegar with 2 parts of water. (b) Dip a cotton ball in the solution and apply this as a spot treatment on the acne scars. (c) Let the acv solution sit on your acne scar area for about 10 minutes, and then rinse it off with water. (d) Apply this remedy once every day. (a) Take 2 tablespoon of acv, 1-2 teaspoon of organic honey and 3 tablespoon of water. Mix all the ingredients together in a cup. (b) Dip a cotton ball in the solution, and apply it on to your acne scars. (c) Let the solution sit for about 30 minutes, and then rinse it off with lukewarm water. Honey is useful not only treating acne, but can also be used for healing acne scars. How To Use Honey On Acne Scars? (i) Basic Recipe: Apply organic honey on the scars and leave it overnight. Rinse it off in the morning. (ii) Honey And Oatmeal: Mix 2 tablespoons of organic honey and 4 tablespoons of oatmeal to make a thick spreadable paste. Apply this paste gently on pimple scars, leaving it on for about 20 minutes. Rinse it wash off lukewarm water. (iii) Mix 1 tablespoon of honey and ½ teaspoon of cinnamon powder to make a spreadable paste. Apply the mixture on the scars, leaving it on for an hour. You can even use it overnight. Rinse it off with cold water. Aspirin contains salicylic acid, which is good for treating acne. Moreover, its gritty texture acts as a good exfoliating agent. How To Use Honey And Aspirin To Heal Pimple Scars? Add few drops of water over 2-3 aspirin so that the aspirins are dissolved completely. Take care not to use too much water as you need a gritty texture for exfoliation Add honey to this aspirin-water paste and mix well to get a gritty mixture. Apply the mixture on your scars, leaving it on for about 20 minutes. Rinse it off with cold water. As per the American Academy of Dermatology, topical acne scar treatments can help reduce their appearance but cannot remove them completely. Having said that, there are a number of over-the-counter and prescription medications to help smoothen and even out raised scars and diminish skin discoloration. Read here for the best topical over the counter acne scar treatments. When the acne scars are severe and/or have become permanent, it is no more possible to treat them with home remedies. All the more, even over-the-counter topical creams do not work. The dermatologists recommend that the best and most effective option at this stage is to go for cosmetic procedures to remove them. Make sure to visit an experienced dermatologist who has good reputation in treating acne scars. Discuss with him thoroughly the condition of your skin and choose a proper treatment in consultation with him. 1. Micro-Dermabrasion: Micro-Dermabrasion is a great choice if you want to get rid of your stubborn acne scars in a short span of time. It works on all skin types and colors. It makes subtle changes, causing no skin color change or scarring. However, It’s not effective for deeper problems such as stretch marks, wrinkles or deepacne-scars. Skin becomes temporarily pink but fully recovers within 24 hours. It doesn’t require surgery or anesthetics. So, may help people who want quick results. The Process – In microdermabrasion, tiny crystals are sprayed onto the skin to gently remove the outer layer of your skin. This technique is less aggressive than dermabrasion, so you don’t need numbing medicine. It is basically an exfoliation and skin rejuvenation procedure that leaves skin looking softer and brighter. My Personal Experience With Microdermabrasion: Basically, microdermabrasion peels off a very, very fine layer of skin (but thicker than the one removed by regular facial peel) where superficial acne scar cells are stuck. I had many superficial scars on my cheeks (but no red marks), which faded to the point of becoming invisible after a full spa microdermabrasion treatment (I suspect the results wouldn’t have been any different in a clinic). I needed 12 microdermabrasions before the scarring on my cheeks had almost faded, though I could see improvement after the first few abrasions. (i) Inexpensive, but not cheap. (ii) Can effectively treat acne scars, dark spots, and hyperpigmentation. (iii) Makes your skin smoother and brighter. (i) Multiple sessions are often needed. (ii) Early side effects include redness and uneven skin patches, which get corrected on their own. (iii) Not a good choice for very severe acne scars. Although, there is no “miracle” quick fix for acne scars, laser resurfacing can be a very effective method for minimizing and diminishing acne scars. This procedure is also safe for most skin types. Because of its success rate, this is the best way to get rid of acne scars that have become stubborn. However, it’s not much of a promising option for you if you have a sensitive skin. The Process – Laser resurfacing is a skin resurfacing procedure that uses a laser to improve the appearance of your skin or treat minor facial flaws. The process basically involves application of a laser (can be of any type) to your affected areas, which exterminates bacteria and removes dead skin cells. Moreover, it helps trigger a rejuvenation process at the surface of your skin. Consequently, the old damaged layer of your skin is replaced with a newer, healthier skin layer. (ii) Recovery time is lesser than other treatments. (iii) Can effectively heal most types of scars. (iv) Multiple sessions not necessary. (i) Can be very expensive. (ii) Risks include hyperpigmentation, redness, and swelling. (iii) Not recommended for very sensitive skin. Read here all about this cosmetic treatment. Known as alphahydroxy acid (AHA), or betahydroxy acid (BHA), chemical peels are a solution that is applied to the skin, typically on the face, neck or hands. They cause the skin to exfoliate, and as a result, eventually peel off. The final result is smoother skin. It is commonly acknowledged that chemical peels are a proven and effective treatment for acne scars. Regardless of the severity of the marks, a patient who undergoes a chemical peel is bound to see results in the tone and smoothness of their skin. For the past several decades, this method has been successfully used for not only fading away acne scars, but also for the purpose of treating other skin blemishes and discoloration problems. The Process – In this treatment, chemicals are used to remove the upper damaged layer of your skin, allowing a new skin layer to take its place. The idea of using a chemical peel might sound a bit scary. Chemicals on your skin? Ouch! However, the most discomfort you are likely to experience with a chemical peel is a bit of stinging. In fact, the side effects have been likened to that of like sunburn. Other potential side effects include redness, irritation and crusting. There are various types of chemical peels and different acid solutions are used. The superficial chemical peels use more gentle acids, whereas the deeper and stronger peels require a stronger acid. While the deeper peel is likely to sting more, the effects of redness, swelling and irritation can be soothed with creams and gels, or medications provided by a doctor. (i) Comes with a variety of choices according to the severity of your scars. You can choose between light, medium, or deep chemical peeling. (ii) Multiple sessions are not necessary. Only one treatment can often do the entire job. (iii) Results can be seen sooner after the treatment. (iii) Not suitable for dark skinned people. (iv) In rare cases, skin can permanently lose its ability to tan. Read here for best chemical peels for acne scars. 4. Dermabrasion: Dermabrasion, sometimes known as dermaplaning, is a procedure that “refinishes” the top layers of skin through controlled surgical scraping. The treatments soften the sharp edges of surface irregularities, giving the skin a smoother appearance. In other words, it’s a technique to reduce acne scars by abrading or leveling the upper layer of the skin. The new skin typically appears smoother and refreshed. This treatment has turned out to be one of the best acne scar treatment over time because of its success rate. The Process – In this treatment, the surgeon removes your damaged skin layer with the help of a “fraise” (usually in the form of a wire brush or a diamond wheel). (i) Very effective and popular for severe acne scars. (ii) Improves your skin tone and texture. (iii) Skin can take months to return to its normal look. (iv) Can cause redness, swelling, and itching right after the treatment, but returns to normal in time. Read here about this treatment. (i) Never go for an intense treatment right away. Begin with mild sessions and if your skin responds well, then go for the strong ones (if required). (ii) Be patient after you are through with your treatment sessions. Your skin will take about 3-4 weeks to heal itself and to return to its desirable look. (iii) Almost all of these treatments will make your skin dry and photosensitive. Thus, take care to keep away from sunlight as much as you can, and apply a good quality sunscreen if you feel a need. (iv) Don’t let your skin be abrasive. Your skin always needs to sustain a certain moisturizing level. If you’re using a cosmetic facial mask, then make sure it has a good moisturizing effect. So, the right approach is to identify the stage of your acne scars, and then select an appropriate treatment relating to its category. You need to stick to it and give enough time for it to work. You may also consult a dermatologist. In such a case the above information will equip you to have a fruitful discussion with the dermatologist. I’ve selected the above treatment options after talking to the experts, and organized them, so that you can choose the best available option. How To Get Rid Of Body Acne Fast? Acne Treatments HQ is the authenticated resource center providing overview on the types and causes of acne, related conditions, preventive measures, natural remedies and effective over the counter treatments.